Robert A. Benedetto, 82, of Torrington, CT, peacefully passed away Saturday, January 26, 2019, at Charlotte Hungerford Hospital with his son and daughter by his side. He was the husband of the late Dolores (Zaccagnino) Benedetto. Bob was born August 24, 1936, in Torrington, CT, to Joseph and Gertrude (Corlatti) Benedetto. 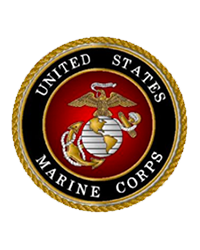 He served his country with the US Marine Corps. He was employed by Brunswick Manufacturing as a Tool and Die Maker and later by RIFL as a Machinist until his retirement. He enjoyed traveling to Las Vegas, watching UCONN Women’s Basketball and was an avid Red Sox fan. He is survived by one son, Mark Benedetto, and one daughter, Susan Benedetto; one brother, James Benedetto all of Torrington; as well as several nieces and nephews. Funeral services will be held on Friday, February 1, 2019, with the cortege leaving at 9:30 a.m. from Cook Funeral Home, to Center Congregational Church, 155 Main St., Torrington for services at 10:00 a.m. Burial will follow at Hillside Cemetery with full military honors accorded. Calling hours will be held on Thursday, January 31, 2019, from 6:00 p.m. to 8:00 p.m. at Cook Funeral Home.